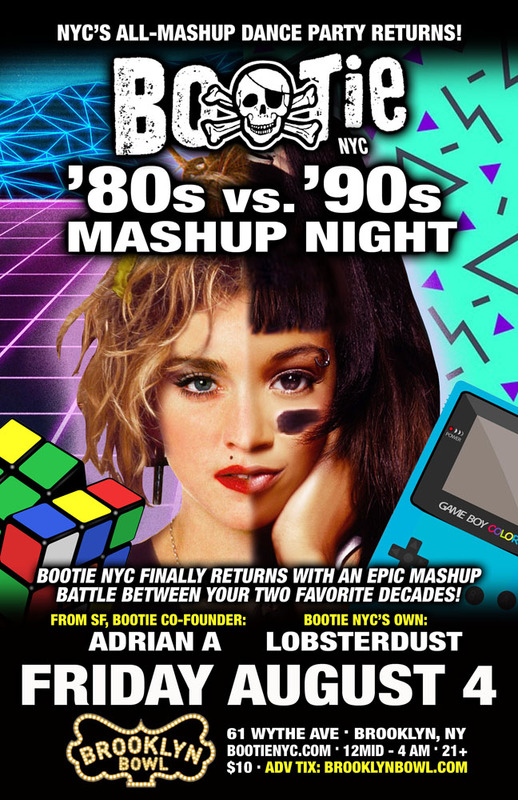 Bootie NYC finally returns, taking two of your favorite decades and mashing them together – it's '80s vs '90s Mashup Night! Why choose one when you can have them BOTH ... mashed up, of course! Bring your pastel polo shirts and acid-washed overalls, plastic pants or ripped jeans, leg-warmers or leotards – all the wonderful and awful fashion of two extremely colorful and fun decades! Bootie co-founder Adrian A flies in from Berlin to join Bootie NYC resident DJ Lobsterdust, as they spin all the best artists in every genre from both decades, mixed and mashed with anybody and everybody! Only $10!